New products claiming, ‘high and added protein' grew 140% regionally over the past five years1. NZMP is answering this demand with the broadest range of dairy protein ingredients available. Discover NZMP's protein innovation at Gulfood 2019, 17-21 February. Including Protein Water formulated with NZMP's NEW SureProteinTM Clear WPI. The team will be sampling the new ‘Pizza Topping' with mini-pizzas on-stand at Gulfood. Come try this lower cost dairy-based meal topping that has a similar composition to natural mozzarella. Pizza Topping is a clean label product with only the addition of vegetable oil to make this a good quality, cost-effective option. NZMP, the global dairy ingredients and solutions business of Fonterra, says the rising consumer demand for quality nutrition means food and beverage manufacturers in the Middle East and Africa have a great opportunity to adapt their products to meet the region's growing health consciousness – and utilise NZMP's world-leading dairy expertise to do so. Launches of new products claiming high and added protein increased by 140% in the Middle East & Africa between 2013 and 2018, according to the Mintel Global New Product Database. Protein is the top on-pack claim for new product releases1 in Middle East and Africa. The NZMP team will be addressing this demand by showcasing versatile high protein concepts to suit different needs of the region's manufacturers. These include innovative product concepts designed for the sports & active lifestyle market such as ready-to-mix protein powder solutions, and protein water (made with NEW SureProtein™ Clear WPI). “We'll be presenting our protein water to the Middle East and Africa market for the first time at Gulfood 2019. It's an interesting and unique product in the region as it gives consumers the benefits of dairy protein and hydration in a clear, refreshing low-calorie drink, that tastes great” says Simon Penfold, NZMP General Manager – Middle East and Africa. Penfold comments on the growing awareness around health and fitness in the region, alongside initiatives of some Middle East and Africa governments to promote healthy lifestyles, and how this impacts consumers' food and beverage choices. 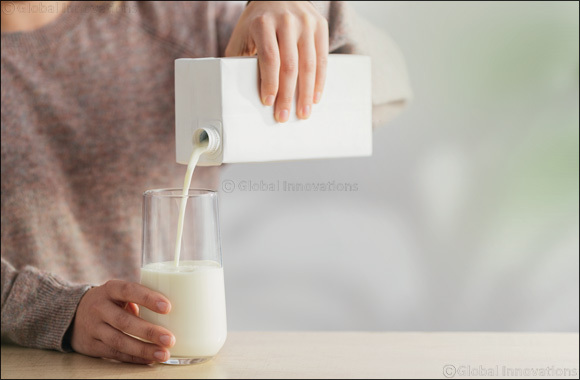 Affordable nutrition solutions on show at Gulfood 2019 include NZMP's new Protein+ Instant Milk Powder, which contains 25% more protein per serve than instant whole milk powder. And a new Low-Cost Pure Instant Dairy Powder which is an all dairy, value for money alternative to instant whole milk powder that delivers a natural creamy taste. NZMP will also showcase Fat Filled Milk Powder, which is a suitable alternative to consumers wanting to access the goodness of dairy nutrition, without the premium price associated with Full Cream Milk Powder. In Africa, more than 40% of children aged under 5 are deficient in Vitamin A3 and around 50% of the world's population are deficient in Vitamin D4. The powder offers an affordable, dairy based ingredient enriched with both these vitamins. Other NZMP ingredients showcased at Gulfood 2019 include ambient drinking yogurts, high-protein UHT milks, processed cream cheese, and NZMP's mozzarella range – which ranges from premium through to cost-effective. NZMP will also be introducing its Risk and Commercial Solutions to the Middle East and Africa market, highlighting PriceLock and PriceCollar. NZMP's Risk and Commercial Solutions help customers gain certainty, confidence and simplicity within their business by enabling them to secure their supply and take control of their dairy ingredient price exposure, freeing them up to focus on what they do best - adding value. “We've been operating in this market for more than 40 years and we understand the diverse needs of our customers and consumers across the Middle East and Africa. We are continually investing and adapting our ingredient solutions to allow manufacturers to make the most of growing developments in the area. The NZMP team will be available throughout Gulfood at Hall 1, Stand D1-2, to discuss NZMP's solutions and food and beverage trends across the Middle East and Africa region.